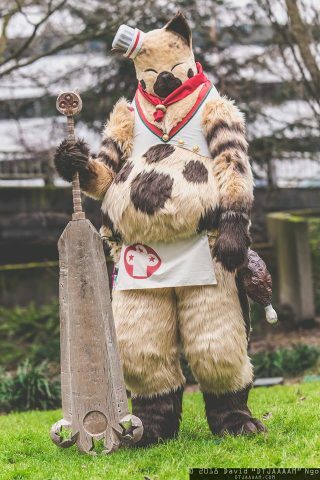 This Monster Hunter Felyne Chef Cosplay Can Slice and Dice « Adafruit Industries – Makers, hackers, artists, designers and engineers! Monster Hunter comes complete with cat bipeds, Felynes, who serve as your comrade or as a chef in the game. The Felyne Chefs cook for their hunters and watching them in action is adorable. Zachary Weitzel, a.k.a. 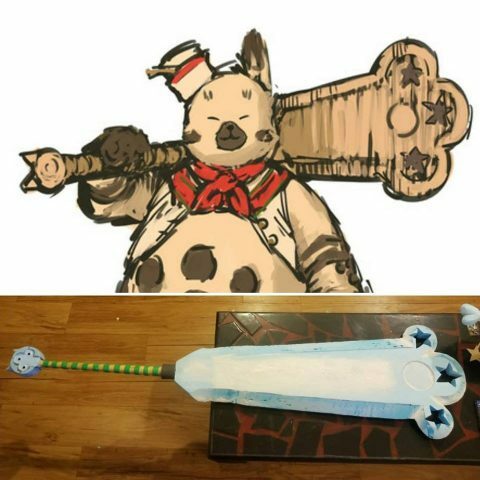 PretzelBot Props, put his talents towards making the fat cat chef from Monster Hunter Generations and wore the costume at Emerald City Comic Con. 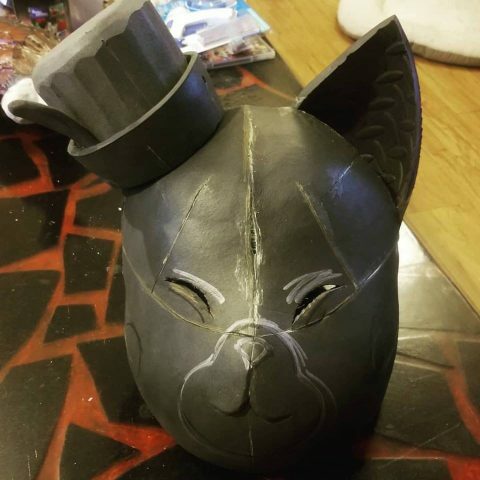 The finished look is covered in fur, but it all started with EVA foam. You can get a glimpse at the base of the head below. See more of PretzelBot’s work on Facebook and Instagram.